I'm back with a video for you all! 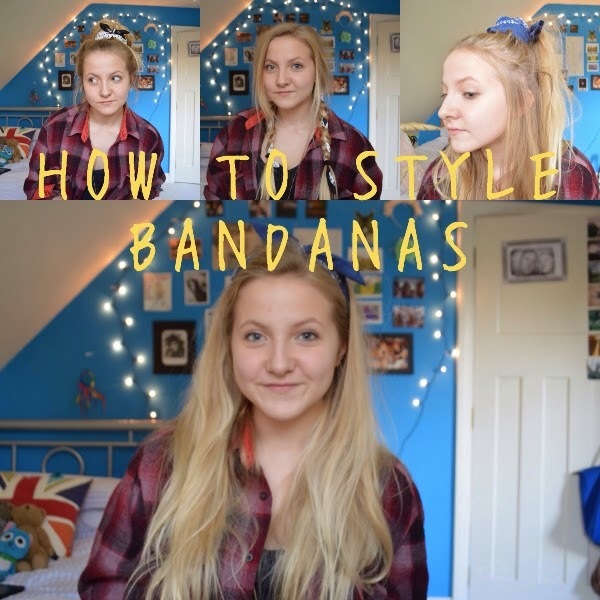 I'm obsessed with bandanas at the moment, so here's five ways I style them. Watch below or click HERE. DUDE I LOVE BANDANAS AND THIS IS THE BEST EVER. gonna do it all this week. Yay so glad you like it Sonja! Tweet me a picture if you do! Love this! I'm always trying to sport a bandanna, but it never looks this cute! Definitely going to have to try some of these! Thank you! Ah I'm sure it would look good!